Jobs will be posted here as they become available. 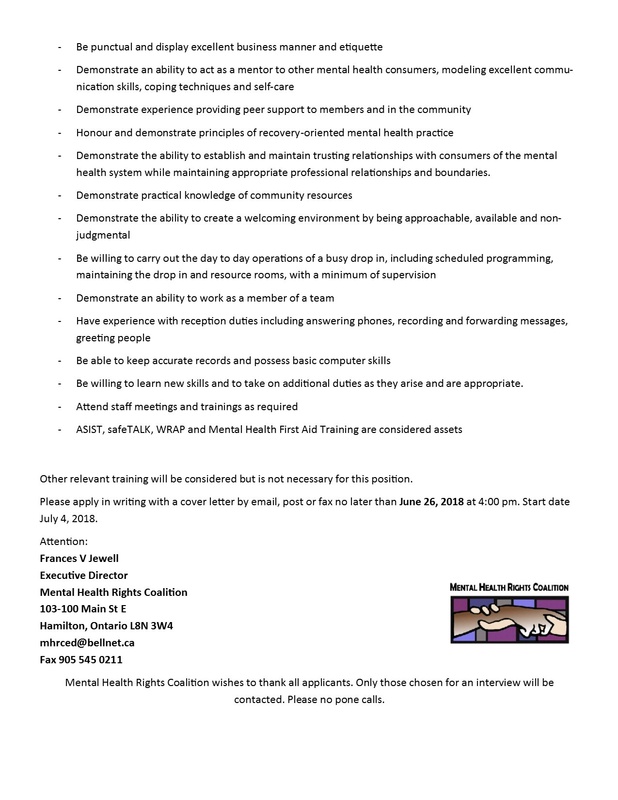 Please contact mhrcprograms@bellnet.ca if you have a job that you would like to see shared here. 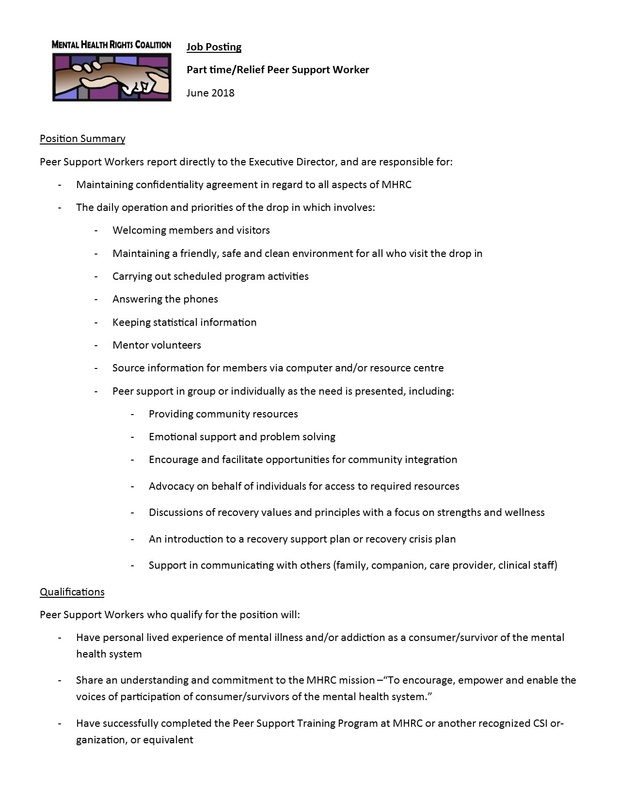 Part Time/Relief Peer Support Worker. Deadline June 26. Start July 4. No external postings at this time. Contact us if you would like to share a posting here.